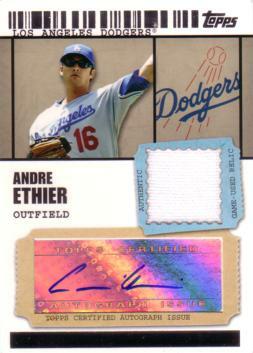 This card has both an authentic Andre Ethier signature and a piece of Dodgers Major League jersey worn by Ethier during a Major League Baseball game. The back of this card reads: "The signing of all Topps autograph cards is witnessed by Topps representatives to guarantee authenticity." 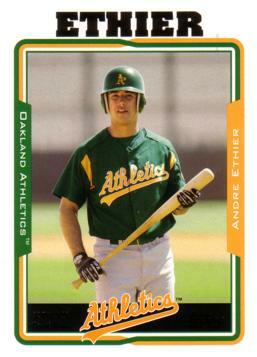 Only 489 of these cards exist! Rare card!